The village of Gorgomylos is located at the region of Anogeio, at the northeast part of the prefecture of Preveza and is the seat of the Municipality of Anogeio. It is a village of farmers and shepherds, one of the most charactesitic villages of the region. 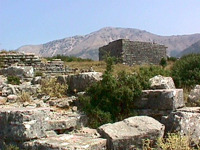 Ancient site of Orraon: It is located at the region of Gorgomylos. 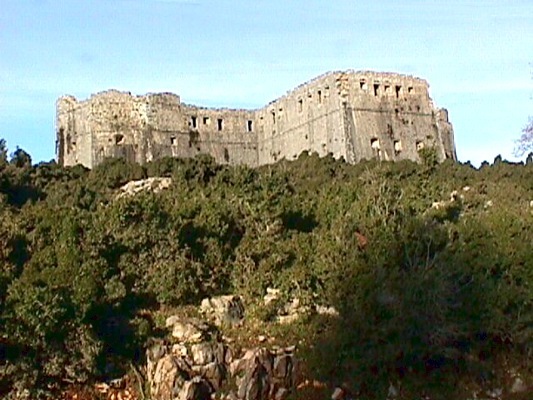 It is an archaelogical residence of Molossoi dated back to the 5th century B.C. Throughout the whole region there are post – byzantine churches with significant wall paintings. In Agios Georgios: Cave of Asprochaliko where there were found stone tools and animal bones of the middle paleolithic time. 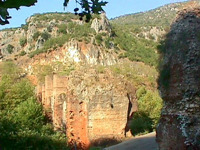 Near the villages there are the ruins of the Roman aqueduct that supplied with water ancient Nikopolis. There is also a hydroelectric dam.